“The Two and a Half Tenors & the Devastating Diva”. 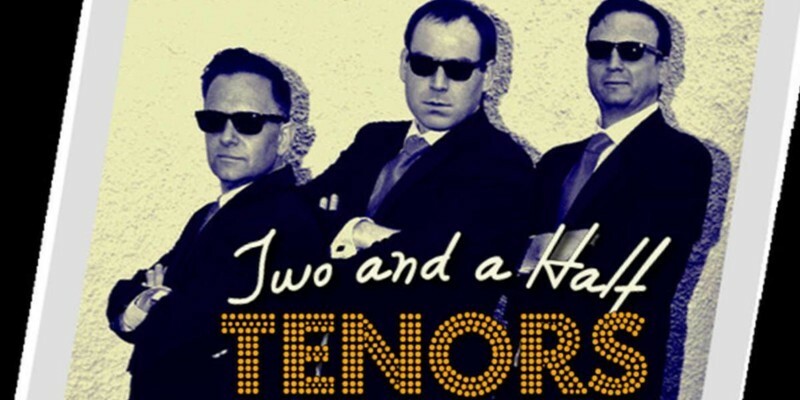 Uniting three of Ireland’s most experienced and dynamic classical voices, Nyle Wolfe 5’6”, Derek Ryan 6’4” & Ryan Morgan 6’7”, in a highly entertaining show which includes hits from opera, Broadway, show bands and swing in a fast moving and comical presentation. Joined by Jean Wallace “The Devastating Diva”, a world class soprano, the group’s performances have proved a hit with audiences and our many corporate clients since their debut in 2014. Accompanied by professionally recorded orchestral backing tracks, the show is perfect for all situations, from local fundraisers to festivals and black tie gala nights. We can supply all necessary sound equipment for up to 500 guests in theatre style seating. They offer a professional family-friendly show with broad audience appeal and a unique “height differential”! We hope you will consider us for any gala night, fundraiser or benefit night you may be planning. We just want to say a huge thank you, to you and your team for the best performance we have ever seen at a wedding. The singer was the talk of the wedding for the whole weekend. It was absolutely amazing. We have seen quite a few at recent weddings and they did not come close to the amazing performance you and your team put on. Thank you so very much for making our wedding so special. We loved Marco he was amazing and all the guests absolutely loved him! The best entertainment ever, send on our thanks to Marco for making our day. I just wanted to say the biggest and happiest thank you to Singers for hire! The singing chef was fantastic. He had everyone up singing and dancing and it honestly made our wedding. I booked it as a surprise for my hubby and he loves it! Looking around the room from the top table everyone was participating & I have never seen happier wedding guests and the guests have been none stop raving about it. We can't wait to get our wedding video back to rewatch the singing chef! Can I just say thank you so much for your performance at my sister's wedding in Garryvoe on Saturday. The reaction was amazing and the room was lifted by your performance. Both my sister and brother in law were so surprised and really chuffed with their singing waiters surprise. So many of the wedding guests were thrilled and so inquisitive about you. I am very greatful and so so pleased I booked you to perform at her wedding. My sister said it was the best wedding gift ever!! Hi just want to say a huge thanks to Marco the Singing waiter he was the talk of our wedding thanks so much for a professional performance and I've passed ur number on to 2 friends today!! Just want to say a huge thank you for for your amazing entertainment on Saturday at our family wedding. 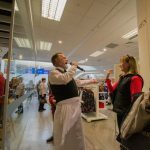 Both bride and groom were completely taken by surprise and were absolutely blown away by your singing chef performance as were all the guests, as you could see by their reaction and participation!!! Thanks especially for including the Disney songs....Laura particularly loved them. All your choices were perfect and the entire show was really professional and added so much to what was truly a very special day. © 2019 Singers for Hire.